Capturing Jessica Simpson’s sweet girl next door appeal along with her glamorous celebrity side and romantic nature comes Fancy. Feminine and irresistibly beautiful with a radiance like the star that inspired it, this 2008 sparkling fruity-floral scent, created by perfumer, Alexis Dadier of Mane Paris for Parlux Fragrances, Inc. will enchant you. This scent opens with a bubbly sweet, but light infusion of pear, apricot and red fruits against a backdrop of floral. Delicious caramel and toasted almond notes frolic in the mix adding a playful, tempting quality to this fragrance. As the heart develops, you can detect the gardenia and night-blooming jasmine slowly emerge lending a tender romantic element. Steeping creamy sandalwood and sensual amber crystals provide the warmth in the dry down while vanilla creme haunts for a soft, powdery musk aroma that is fresh and sophisticated. Like a kite gliding gently in a summer breeze, Fancy, leisurely floats with a delicate sweetness to your senses. Yet, this romantic fragrance is also captivating, ripening to perfection to cast its spell. The style of the bottle is just as feminine with frilly swirls to adorn it. Even the pink color of the perfume itself just as girly in keeping with the theme of this perfume. I really thought Fancy was a happy delight to wear as it bloomed to life. Do make yourself happy as well and look for this fragrance. Thanks to Jessica Simpson Fragrances and the Camuto Group, three lucky Nuts 4 Stuff readers in the United States win a 3.4 fl. oz. 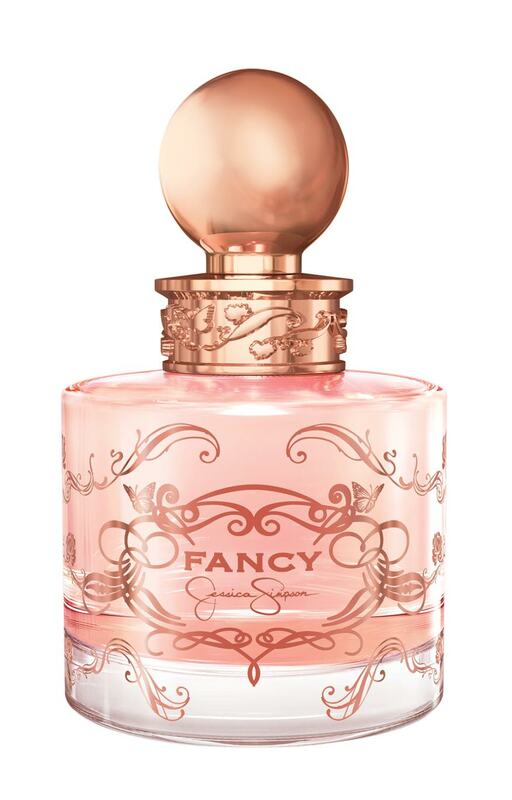 bottle of Fancy Eau de Parfum Spray ($59)! 2. Go to Jessica Simpson Fragrances and tell me what other of her fragrances you would also love to try or something you learned from the site in another comment. This giveaway ends March 30, 2012 at 12 PM Eastern Standard Time. The winner will need to respond to my email with name and shipping address within 48-hours or another winner will be picked. I want to try the Dessert! I'd also like to try "Jessica Simpson Dessert" fragrance! I entered the Fila Skele-Toes Lite Running Sneakers Giveaway! I entered Garden Botanika Advanced Anti-Aging Treatments & Calming Daily Moisturizer Giveaway! I totally forgot she sells handbags! I'm lovin' the bright red Downtown bag! I follow on GFC as Couponmomfl. Email Couponmomfl(at)yahoo(dot)com. I want to try Jessica Simpson's other perfume called I fancy you! I'd like to try Jessica Simpson Fancy Love. I would like to try the Dessert fragrance. I tweeted the requested message on Twitter at https://twitter.com/#!/likwan/status/185678025348759552.